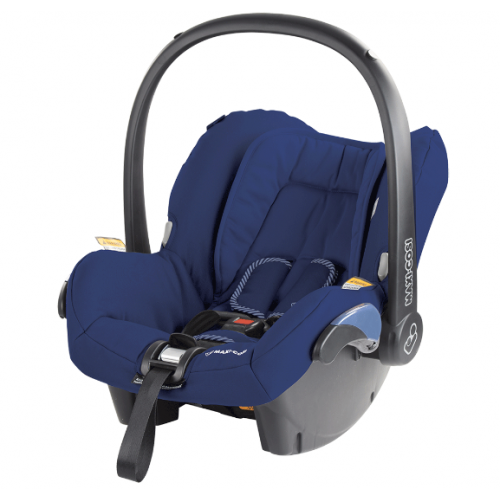 Your first journey home from hospital will be safe and hassle-free with the NEW Maxi-Cosi Citi infant carrier. At only 3.2kgs, the Citi is the lightest infant carrier on the market, and features our new European styling with easy to clean, machine washable fabrics. The Citi is stylish, lightweight and comfortably padded, ensuring maximum safety for your newborn. Compatible to use on many popular pram brands, such as Safety 1st and Uppa Baby, this infant carrier ensures that your baby is protected both in and out of the car, with its large hood and impressive 50+ UPF rating.